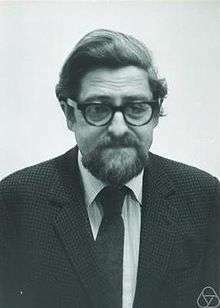 Louis Nirenberg (born 28 February 1925) is a Canadian American mathematician, considered one of the outstanding analysts of the 20th century. He has made fundamental contributions to linear and nonlinear partial differential equations (PDEs) and their application to complex analysis and geometry. His contributions include the Gagliardo–Nirenberg interpolation inequality, which is important in the solution of the elliptic partial differential equations that arise in many areas of mathematics, and the formalization of the bounded mean oscillation known as John–Nirenberg space, which is used to study the behavior of both elastic materials and games of chance known as martingales. Nirenberg's work on PDEs was described by the American Mathematical Society in 2002 as "about the best that's been done" towards solving the Navier–Stokes existence and smoothness problem of fluid mechanics and turbulence, which is a Millennium Prize Problem and one of the largest unsolved problems in physics. Nirenberg was born in Hamilton, Ontario, and attended Baron Byng High School. He studied as an undergraduate at McGill University, and obtained his doctorate from New York University in 1949 under the direction of James Stoker. He became a professor at the Courant Institute of Mathematical Sciences at New York University. He was also conferred the degree of Doctor of Science, honoris causa, at the University of British Columbia in 2010. He has received many honours and awards, including the Bôcher Memorial Prize (1959), the Jeffery–Williams Prize (1987), the Steele Prize (1994 and 2014), the National Medal of Science (1995), and was the inaugural recipient of both the Crafoord Prize (1982, shared with Vladimir Arnold) and the Chern Medal (2010). In 2015 he was awarded the Abel Prize along with John Nash. He is a fellow of the American Mathematical Society. Functional Analysis. Courant Institute 1961. Lectures on linear partial differential equations. In: Conference Board of the Mathematical Sciences of the AMS. American Mathematical Society, Providence (Rhode Island) 1973. Topics in Nonlinear Functional Analysis. Courant Institute 1974. 1 2 Allyn Jackson (March 2002). "Interview with Louis Nirenberg" (PDF). Notes of the AMS. 49 (4): 441–449. Retrieved 2015-03-26. ↑ Nirenberg, L. (1959). "On elliptic partial differential equations". Ann. Scuola Norm. Sup. Pisa (3). 13: 115–162. 1 2 "John F. Nash Jr. and Louis Nirenberg share the Abel Prize". The Abel Prize. 2015-03-25. Retrieved 2015-03-26. ↑ John J O'Connor, Edmund F Robertson (February 2010). "Louis Nirenberg". The MacTutor History of Mathematics archive. University of St Andrews. Retrieved 2015-03-26. ↑ Cipra, Barry (2010-08-19). "Fields Medals, Other Top Math Prizes, Awarded". Science/AAAS. Retrieved 2015-03-26. ↑ List of Fellows of the American Mathematical Society, retrieved 2013-02-24.